We're so excited to celebrate with our Mentees (those who are seeking support or who have sought support) and Mentor Angels. This year, we are offering special amenities to Mentees and Mentor Angels. Click here to register now! Exclusive access to the Angel Runway, where chalk artists will be creating beautiful artwork to honor Mentees and Mentor Angels, and to remember those who are no longer with us. You'll be able to add your name and a short message to the Angel Runway. Not located in Chicago, or can't make it out to the event? You can still register as a Virtual Participant! Click here for more information about participating virtually from anywhere in the world. 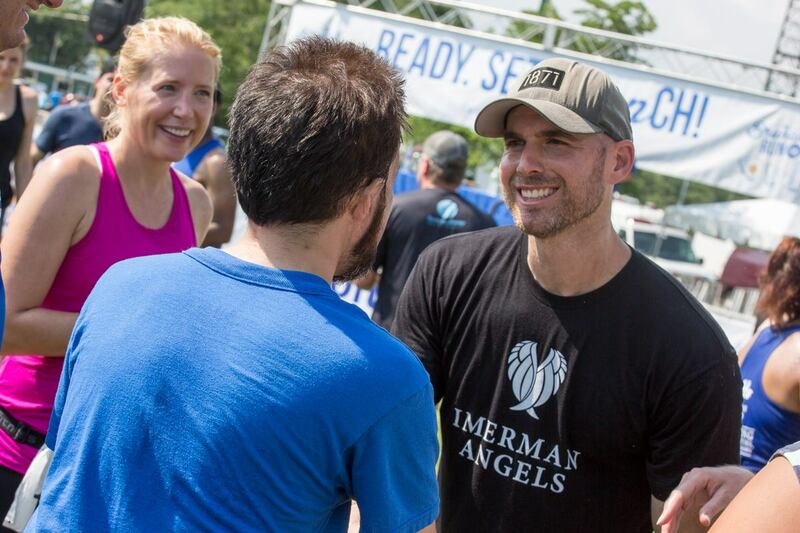 Imerman Angels was there for you at a time you needed support. Now, we need YOUR help to continue to provide our one-on-one cancer support services completely FREE to those in need. Help us help others just like you who will benefit from the connections and friendships they create through Imerman Angels. Every single dollar you raise will help us positively impact more cancer fighters, survivors and caregivers all over the world. Give a fellow member of the cancer community the gift of one-on-one peer support. We hope you will bring your friends and family out to celebrate YOU and your role as the heart of Imerman Angels. Teams and individuals have the opportunity to fundraise to ensure that our one-on-one cancer support services remain completely FREE to those in need. Register, build your team and start fundraising today! Can't make it to the event? Click here to learn more about registering as a Virtual Participant from anywhere in the world!